Ten years ago today Bethesda defined bad downloadable content with two dollars and fifty cents’ worth of horse barding. Downloadable content was a relatively new thing back in 2006 when my favorite Elder Scrolls game was released, and players and publishers alike were still getting a feel for what worked and what did not work. 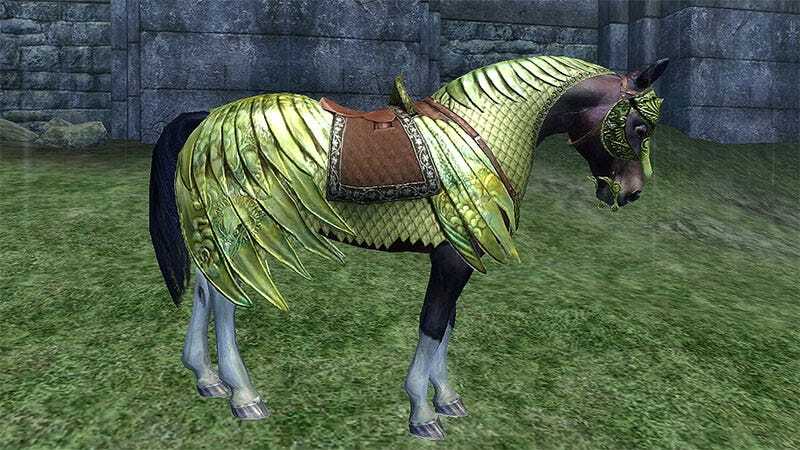 Then came Oblivion’s Horse Armor DLC, blazing a trail of badness for all to see. Bethesda quickly discovered that people did not think $2.50 was a fair price for a cosmetic item that no one else but the player could enjoy. Were it an online game such an item might act as a sign of prestige. “I had $2.50 laying about,” it would say. But Oblivion is an offline game, and the whole affair was just silly.